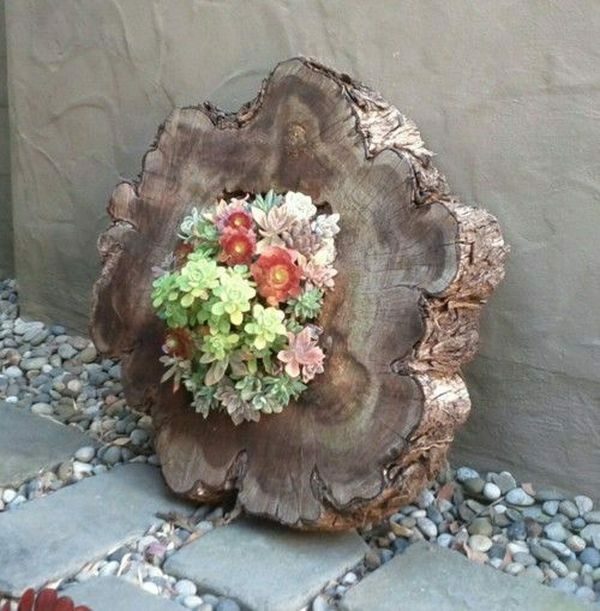 You have old tree in the garden, and you don’t know what to do with it. 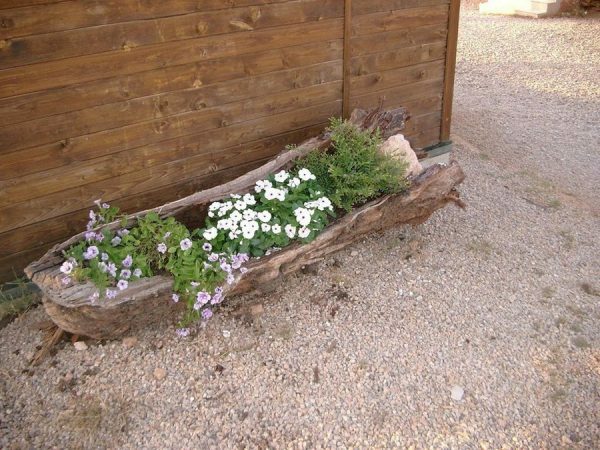 The simplest way is to save wood for a fireplace or grill, but what about this suggestion? 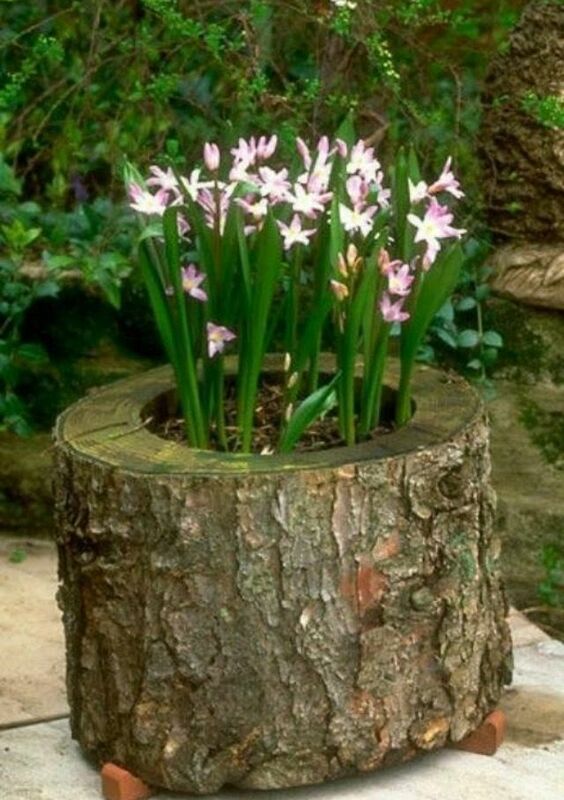 Cut the tree to the length that seems appropriate or necessary and carve the interior. 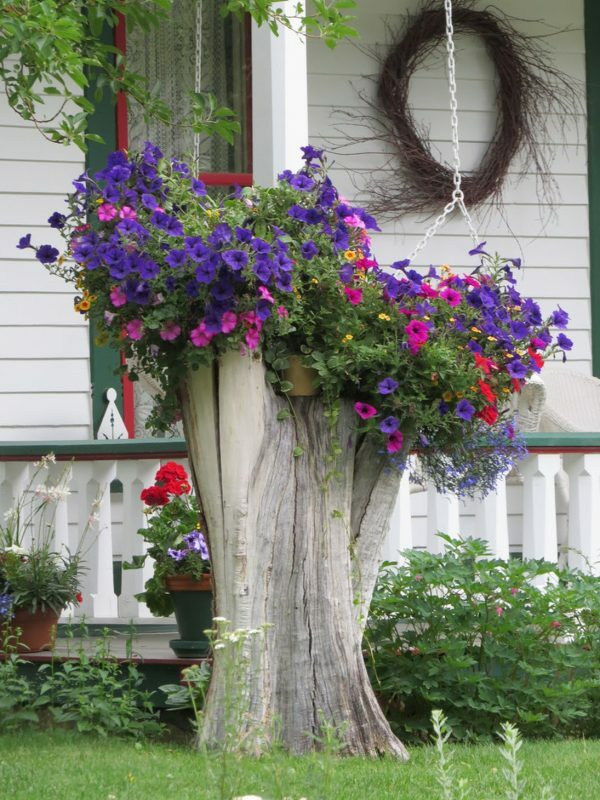 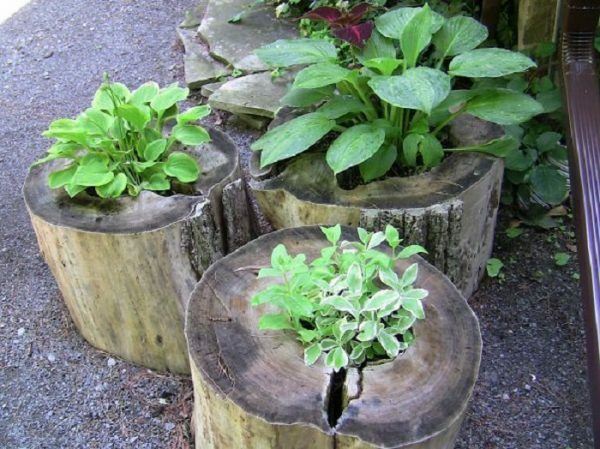 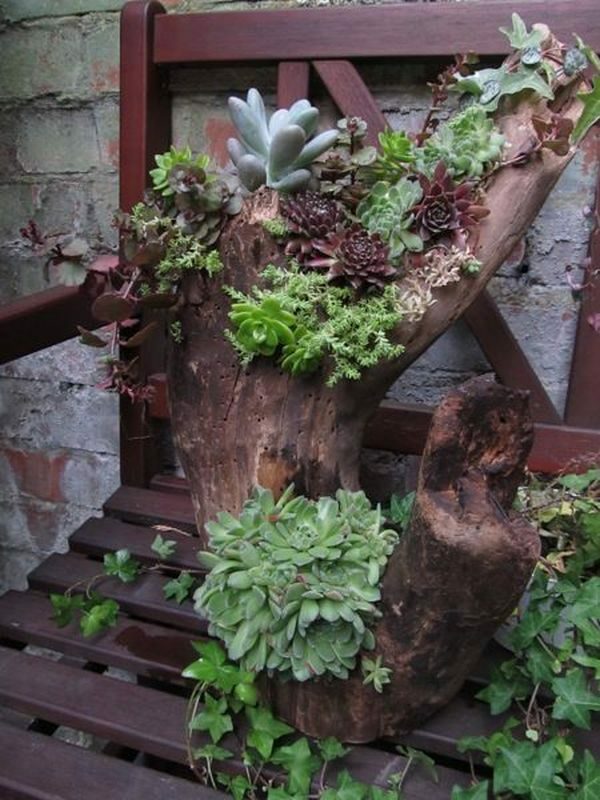 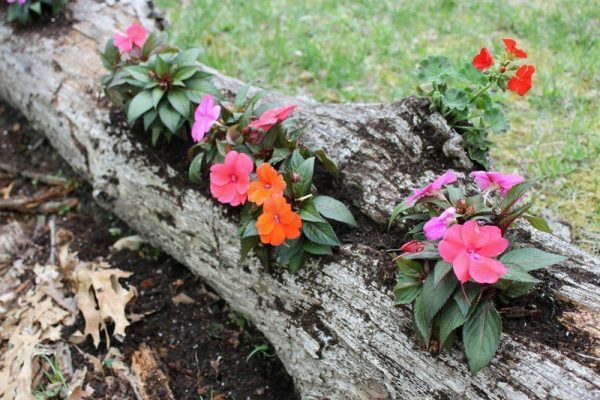 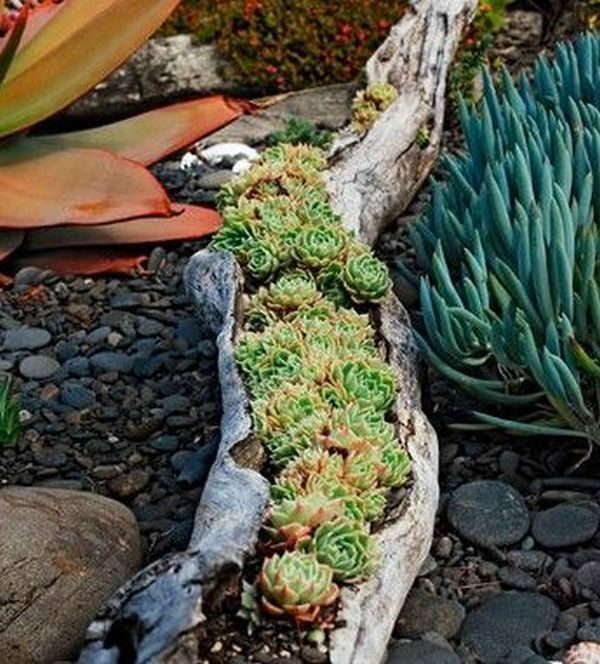 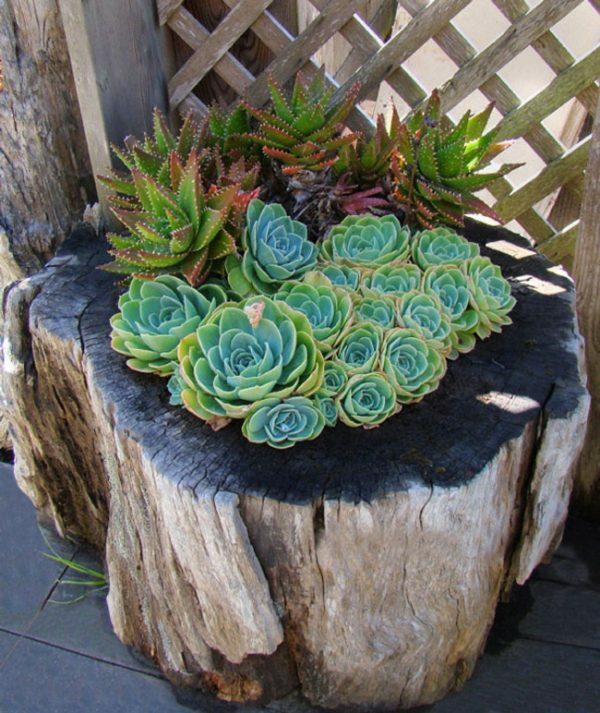 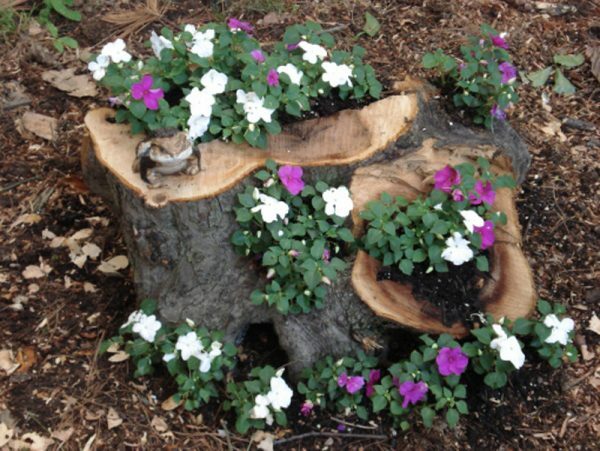 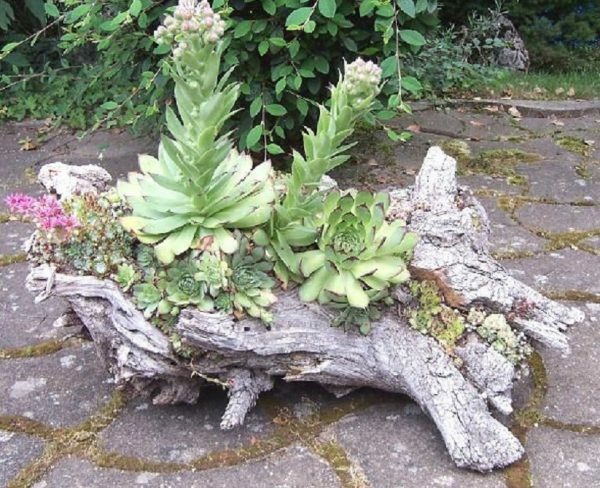 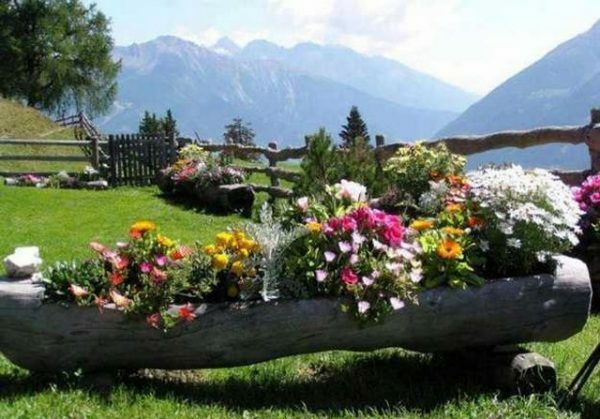 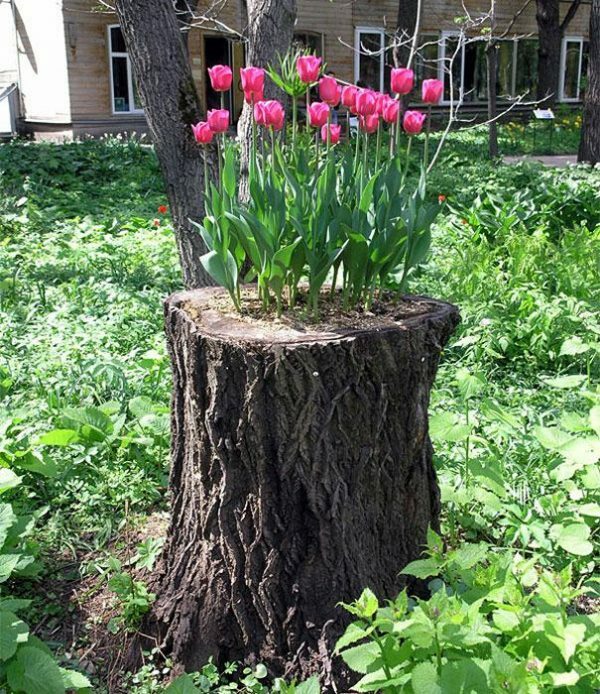 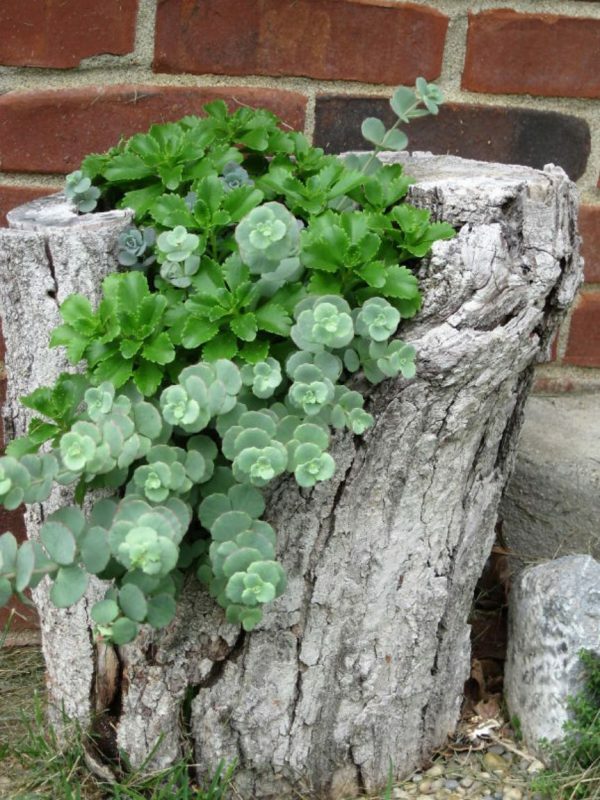 Place a soil in this shaped tree stump and plant the flowers. 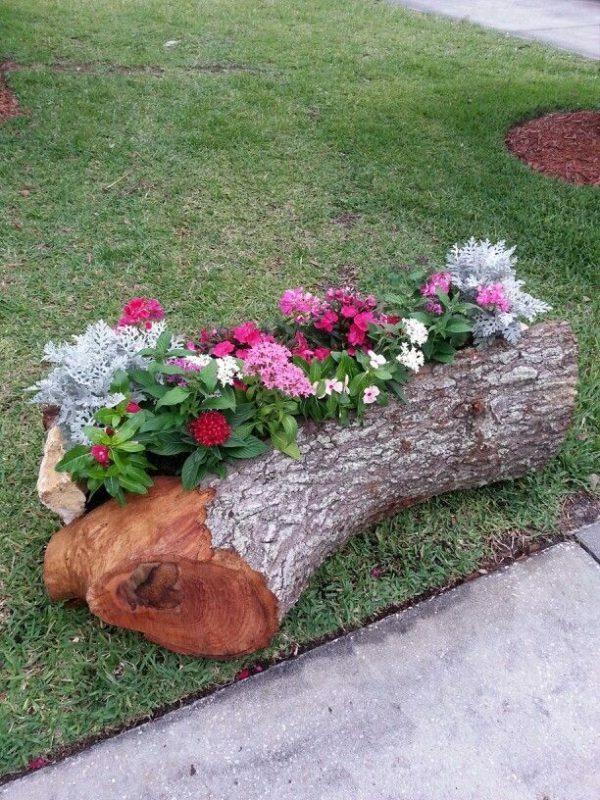 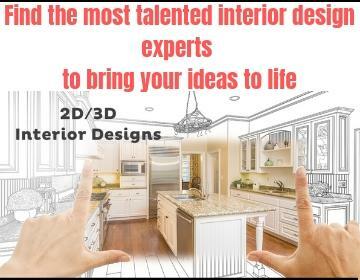 You will get a beautiful, flourishing tree that will be a beautiful decor of your garden.